Jane Powell and Gordon MacRae. 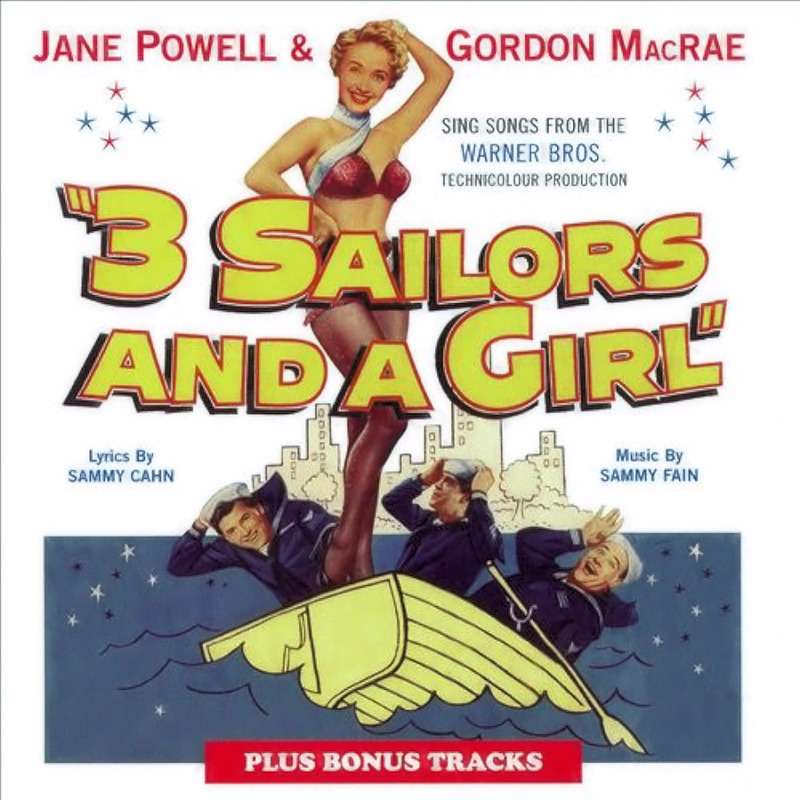 1953 Original Film Soundtrack. 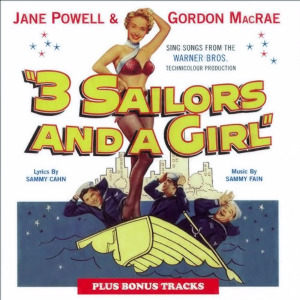 The year was 1953 film musicals were thriving and Warner Brothers teamed together for &ldquo3 Sailor And A GirlGordon MacRae and Jane Powell two of the most promising talents around. Gordon had recently been seen in a bunch of movies with Doris Day including Moonlight Bay and By The Light of The Silvery Moonwhilst Jane had starred alongside Fred Astaire in Wedding Bells(or Royal Wedding if you are reading this in America!). Even greater success would come to these two stars shortly afterwards when Gordon took the roles in the filmed versions of two of Rodgers &amp Hammersteinmusicals Oklahoma!and Carousel and Jane captivated not only Howard Keel but all of us in Seven Brides For Seven Brothers. The score was composed by the team of Sammy Cahn and Sammy Fain - one of the songs Face To Facemade the American Top 30.